This winter will never end. I’m calling it now. The cold has come and it isn’t going to leave. HBO’s “Winter is Coming” ad campaign for Game of Thrones wasn’t being facetious. It was a warning we should have taken very seriously (four years ago). This situation is either some kind of “The Day After Tomorrow” shift in permanence or we’re stuck in some February 2nd time-loop that’ll have us all waking up to “I Got You Babe” by Sonny and Cher every 6am for the next thousand years. Every week I hear the same comments from my fellow New York residents: “It’s supposed to be in the 50s next week!” “They say this is the last snowfall.” My personal favorite was “It can’t last much longer. This is the first day of Spring!” As if our changing climate cares about the dates humans (or Hoo-Mons as dogs call us) chose a long time ago for seasonal transitions. The reality is that every week this cold has not ended it has gifted us with elevators, streets and trains packed with commuters seemingly incapable of coughing into their sleeves or managing to avoid the impulse to grip the handrails after wiping the discharge from their faces with the palms of their hands. After ten years in this city I’m starting to understand the people I sometimes see wearing face-masks walking down the block toward me. Seriously, the sales of facial tissue and cough medicine during these months must have executives at Nyquil and Kleenex doing back-flips at the thought of their Quarter 1 2015 numbers. For the rest of us, however, this mess of dripping noses and sore throats isn’t just a gross visual. It’s the potential for a dreaded infection. The Common Cold, The Flu or The Upper Respiratory Infection all share one thing — they’re awful. I dodge out of the way of coughing pedestrians passing me on the street like they’re extras from “The Walking Dead,” to avoid a potential illness because missing work is a luxury I can’t afford. 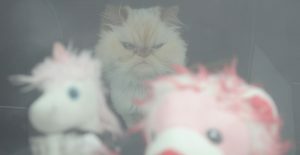 Thing is, they’re not just cute stuffed animals. They’re alive. Just like us they are capable of getting sick. The scary “Upper Respiratory Infection” is just one of the potential dangers. Unfortunately, like with us “Hoo-Mons,” this virus can spread through the air. That makes it an issue for any dog that has even the smallest of interactions with other dogs. I hear all the reasons from our clients as to why their dog doesn’t need to receive the Kennel Cough vaccine. I’m waiting for someone to suggest it could cause Autism in their dog but nobody has said that — yet. The excuses range from “my dog doesn’t go to day-care,” to “our groomer comes to the house,”or the most frustrating “we don’t kennel our dog so he doesn’t need the ‘Kennel Cough’ vaccine.” This one is the most maddening because I can’t blame people for being confused. The terminology leads one to believe this is an infection only dangerous for dogs being kenneled but this isn’t the case. The truth is that even the most minor interaction with another pooch can transmit this infection to your fuzzy child. Even a brief encounter on the city street during a relief walk or a short time in an elevator with an infected dog can lead to transmission. Kennel Cough (Tracheobronchitis, Bordetellosis, or Bordetella) is basically a highly contagious bacterial infection that often results in a dry hacking cough/retching. Sometimes there’s a watery nasal discharge. When it’s more severe you’ll notice lethargic behavior, lack of appetite and fever. In very severe cases (usually with unvaccinated puppies) even death is possible. Contact us immediately if your pet is exhibiting these symptoms. 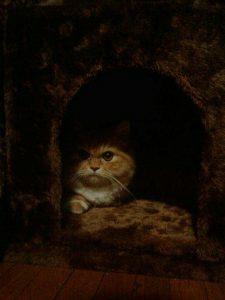 Treatment is often very effective and most pet owners (myself included – love you, Bebe) have or will experience this at some point in time. Where does this leave our New York City dogs? Between growing day-care options, the dog runs and the occasional grooming/boarding appointment our tiny beasts of New York are in a very unique situation. 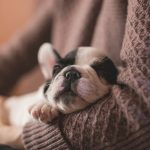 This city is cramped unlike any city in the country and even pets who rarely leave the family home are at great risk for interaction with unfamiliar dogs. 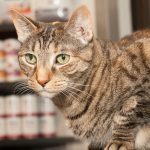 New York City law actually requires any business operating grooming/boarding facilities (such as University Animal Hospital) to provide proof of vaccines for any dog in-house. Should the health department make a surprise inspection (I have been present for this. Twice. It happens.) the facility must prove vaccines are current or they run the risk of being shut down. In the case of Bordetella the vaccine must have been administered in the past six months. This is a good thing. It keeps the dogs from getting sick and it keeps them from spreading the virus to other dogs. That’s a Win/Win in my book. Outside of New York city this vaccine is often given just once a year. 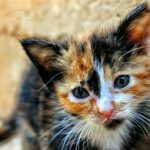 If you’re bi-coastal or you have a vacation home outside of the city you might be surprised at the “Six Month Rule” because your out-of-state veterinarian had previously informed you the vaccine was an annual. It is relevant to note, however, that the actual vials of the vaccine have a “6 month” label attached. The most effective way to handle Bordetella infection is to avoid having your pet contract it. It’s an oral vaccine (no needle, just drops in the mouth) that takes just a few days to begin protecting. It’s much easier and less expensive than having to treat kennel cough down the road with pricey antibiotics and additional doctor visits. Your furry child will appreciate you for it as well. From the makers of Frontline Plus comes a new oral alternative to the topical formulation. 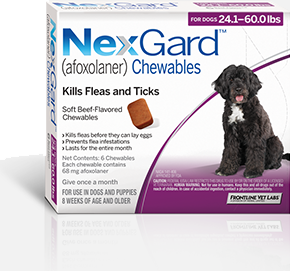 NexGard is the first flea and tick killer in a beef flavored chew! 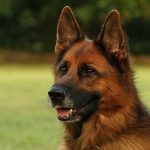 It contains an ingredient, afoxolaner, that helps treat and control fleas and ticks and keeps killing for a full 30 days. So it helps provide protection you can feel good about. University Animal Hospital is proud to offer an exclusive deal: buy 6 doses of NexGard and receive 2 free doses! For more information, give us a call at 212-288-8884 or stop by the office.